•GLA Economics has produced long-run projections of London’s employment since 2002. These projections are trend based and set out the long run path of employment considered most likely based on the historic data available at the time of construction. 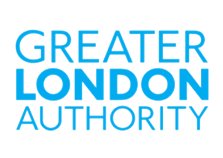 These are used within the GLA for planning to provide capacity to accommodate the longer-terms needs of the London economy. Given their importance to GLA policy planning, this note looks at how the GLA Economics’ employment projections have performed since 2002 and how this compares to projections from some other respected organisations. •Although GLA Economics’ employment projections are consistently below outturn, much of this is the result of upward revisions to historic employment data (which underpin the projections model). Further, the projections perform relatively well when looking at the projected annual growth rate and average annual error in relation to outturn, with the accuracy of the projections generally improving the longer the time period over which the estimates are analysed. •The revisions to historic employment data also drive much of the variability in the GLA Economics’ employment projections numbers over time. However, and by design, the revised projections are relatively consistent over time and average revisions between iterations in GLA Economics employment projections are relatively small.